Hans Rey, Richie Schley, and Joscha Forstreuter traveled to the Indian Himalayas. Their goal: to reach the mysterious Roopkund Lake, a glacial lake in the Uttarakhand region, famous for hundreds of ancient human skeletons at its bottom, and to ride down a sheer endless technical downhill over 3,500 vertical meters on trails that nobody has ever ridden before. By Carmen and Hans Rey Photos by Dean “Blotto” Gray When I received a phone call from the producer of the popular TV series, ‘Ride Guide’ asking me if I would like to go with them to Jordan in the Middle East, I was pretty excited. 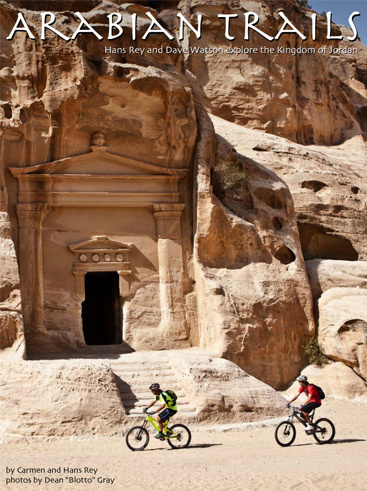 Jordan has been on my “Places to ride” list for a long time. 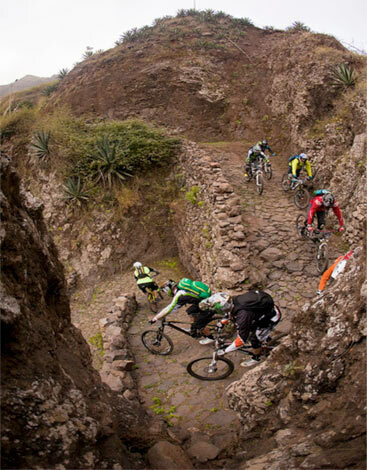 Who wouldn’t want the chance to explore this ancient land as a biking destination? Most people have seen pictures of the sandstone city of Petra, I wanted to do more than see images, I wanted to be there and be in them. With that in mind, I hesitated for, oh, about a second, before I of course, said yes. Peaty and I have been planning a trip to the Scottish Isle of Skye for a long time, when things finally started falling into place we invited YouTube sensation Danny MacAskill to join us. In whirlwind fashion the Scottish native has been living the dream of every kid in the world, since his film clip debut on the internet a little more than a year ago and has become the most watched sports-clip on YouTube of all time, with nearly 18 million viewers to date.